Update: The server move is complete and the forum and wiki are back online. Here at Zelda Dungeon, we will be moving servers beginning around 6pm US Central Time today. 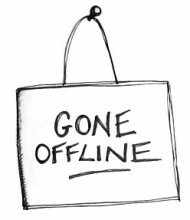 During this time period, we may go offline for awhile. There will be no new posts made on the front page, and both the Wiki and Forums will be disabled for editing. We hope to be back up and running on Saturday early in the morning. This will be the first in a number of changes happening here at Zelda Dungeon over the next few weeks. We have a brand new website design in the works, and we will also be making notable upgrades to both our Wiki and Forum software. If there are any hiccups and the site is not accessible, we will be updating our Facebook Page with progress reports.